Javier Camarena has done it again. 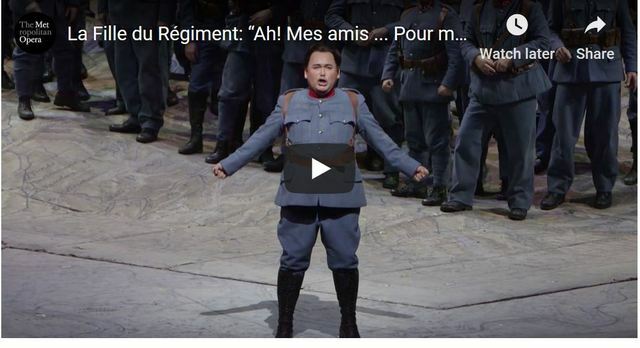 On Thursday at the Metropolitan Opera, when “Fille” returned in Laurent Pelly’s production, Mr. Camarena’s breezy performance of the aria, complete with clarion, effortless high C’s, was so thrilling that the audience broke into an ecstatic ovation. So after exchanging glances with the conductor, Enrique Mazzola, Mr. Camarena sang it again: 18 high C’s for the price of nine. In recent years the Met has relaxed a longstanding policy against encores, and Mr. Camarena has earned several. This “Fille” comes as he seems to be inching away from his trademark florid bel canto roles into weightier vocal fare. Though this fall he sang well in Bizet’s “Les Pêcheurs de Perles,” he did not seem as comfortable then as he was during every moment as Tonio on Thursday. It’s a credit to the fine cast that Mr. Camarena did not steal the show entirely. 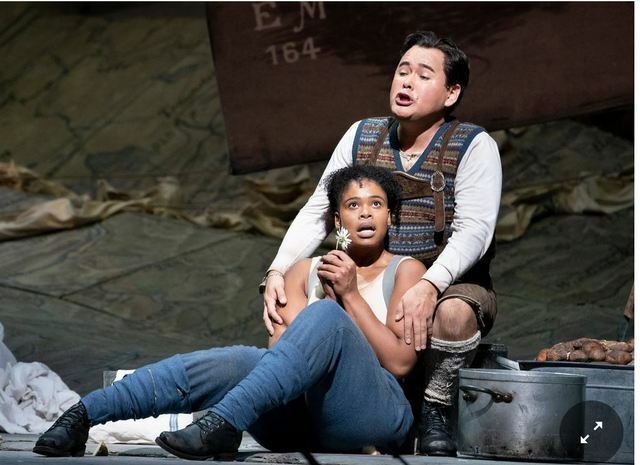 The coloratura soprano Pretty Yende was wonderful as Marie, the orphaned baby who was adopted by a French army regiment and raised as their honorary daughter (hence the title). She has become an adored mascot to a roster of surrogate fathers. In this production, which updates the story to World War I, we see Ms. Yende’s Marie stomping through the camp in army pants and boots, and marching in place alongside the proud soldiers. She sang with gleaming sound, sparkling runs and lots of sass, as well as a gift for physical comedy. Some of the high jinks may have slightly pushed her voice, causing her pitch to slip during some softer passages. Still, this is one of her best Met roles to date. Ms. Yende and Mr. Camarena treat the story seriously, without a trace of mugging or winking. They were adorable during scenes of budding romance. Complications ensue when the Marquise of Berkenfield, here the commanding mezzo-soprano Stephanie Blythe, realizes that Marie is the daughter she abandoned at birth to avoid scandal, and hauls her off to teach her ladylike behavior. But young love wins out. Though there is quite a bit of spoken French dialogue in the piece, the Met’s cast pulled it off, including the veteran baritone Alessandro Corbelli as Sulpice, Marie’s protector in the regiment, and the gravelly voiced actress Kathleen Turner, wonderfully droll as the non-singing Duchess of Krakenthorp. Assuming he keeps singing on the same level, Mr. Camarena may well be prevailed upon to repeat his big aria in the remaining six performances of this run: 18 high C’s down, 108 to go. Love both of those young singers. 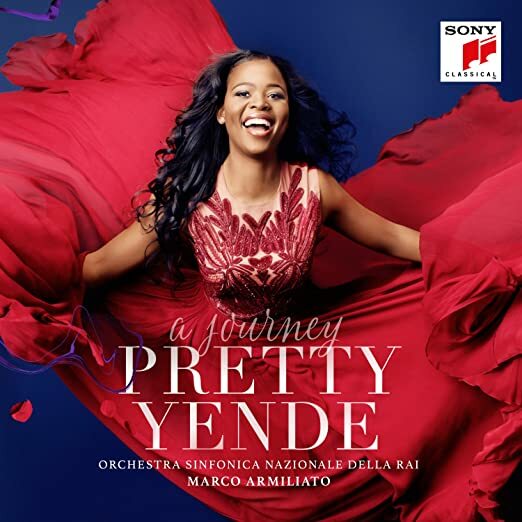 Pretty Yende is a star a well. Here's her album, filled with glorious singing........enjoy the show, Len & Sue!